In a move that has been seen by a section of skeptical Kenyans as the beginning of another scandal at the troubled National Youth Service, the agency is now looking for suppliers. 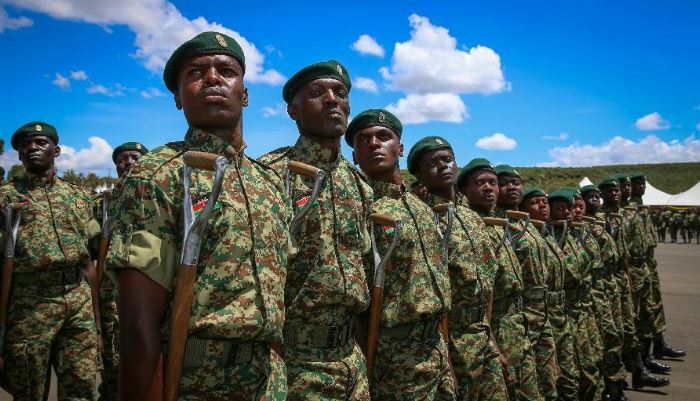 In a notice appearing in dailies, NYS has invited suppliers and service providers to register afresh to supply goods and services to the institution for a two year period(2018 to 2020). The notice indicates that all current suppliers are required to apply afresh for consideration. It comes after Public Service CS Prof. Margaret Kobia last week cancelled all pending bills amounting to Sh 5.6 billion from 2013 to 2017. The CS also promised major changes at NYS when she introduced the new NYS Director General Matilda Sakwa, and a new team of procurement officers to the institution last week. “As we stand here today, welcoming the (new) Director General, I want to assure Kenyans that National Youth Service (scandal) III will not happen under our watch,” said Kobia. Prospective suppliers are now required to download registration documents from the National Treasury website and tender their applications with mandatory qualification documents. “All applications should have been received at the institution by July 29, 2018,” states the notice.